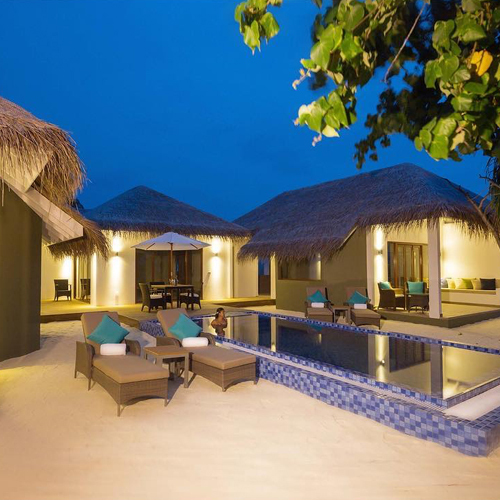 Cocoon Maldives Resort is a relatively new resort in the Maldives. It is also the first designer hotel in the Island-nation, exclusively designed by Lago, one of Italy's finest design firms. 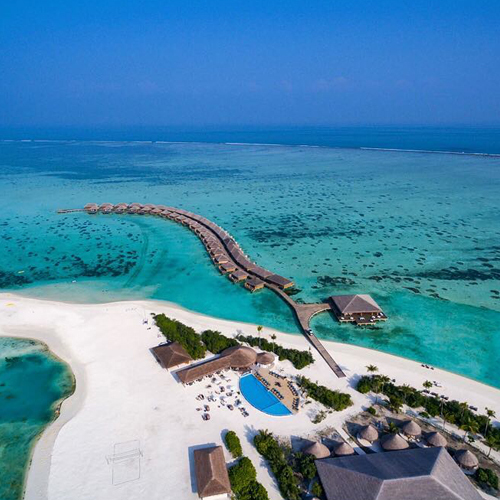 Reaching the Island is just a 30 minute spectacular and scenic seaplane journey from Malé International Airport. 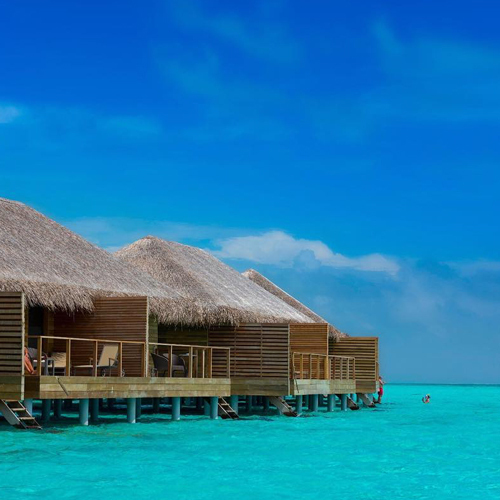 Based on the principle of "affordable luxury", Cocoon is the perfect destination to discover the Maldives, whether you are on your honeymoon, scuba diving, or just looking to unwind and relax. Inspired by the concept of lightness, Cocoon aims to regenerate the spirit and soothe the mind. 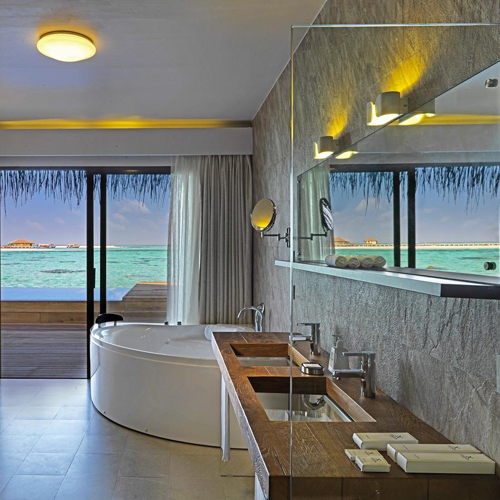 Everything has been carefully planned to create a perfect atmosphere of harmony and tranquility. 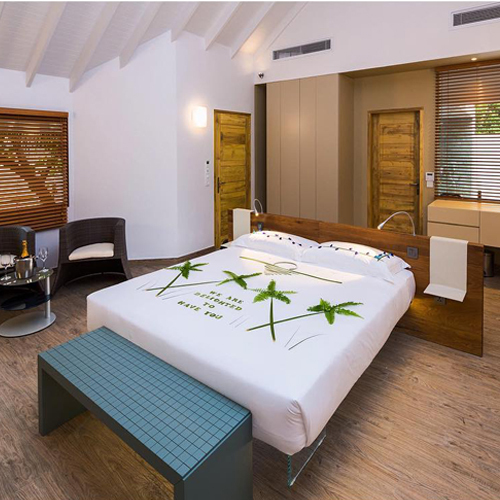 All rooms are surrounded by green vegetation, clearly visible through the glass partitions that connect with the open-air bathrooms, which in itself creates a sense of connection with nature, in cool contrast with the expanse of the turquoise sea. 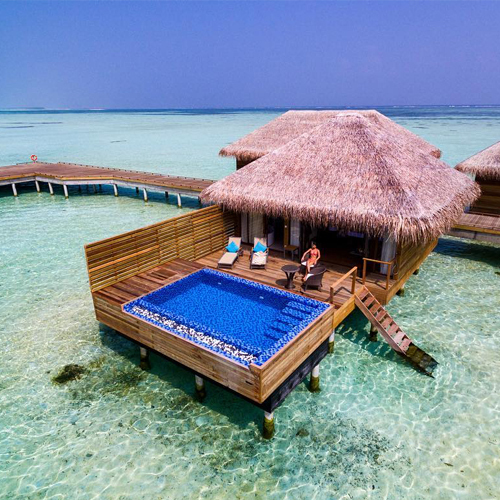 Spa facilities and water sports activities are also available. Multiple dining options are available, as well as bars to grab a nice chilled drink during your sunny vacation.